All three Signature Weapons — the explosive Crossbow, Grenade Launcher, and .50 Cal Rifle. 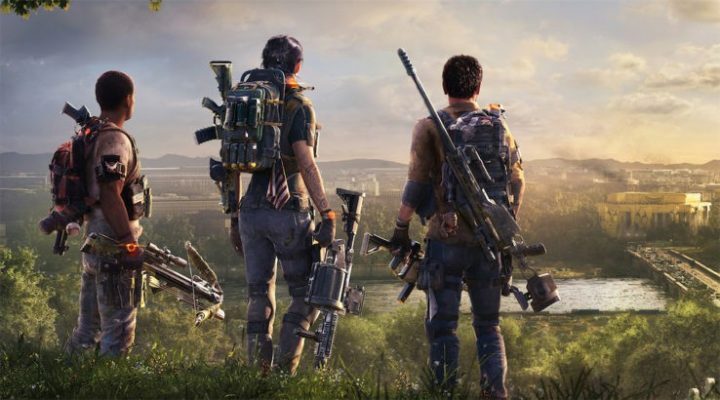 You’ve probably seen the signature weapons in The Division 2. Instead of Ultimate Abilities, agents instead gain one of three Signature Weapons. It’s all part of the new Specializations progression system — and it’s only available in the end-game. Once you’ve completed the story, you’ll be able to pick out your favorite weapon, and unlock upgraded versions of certain skills. Signature Weapons function differently than your standard guns. Instead of upgrading Signature Weapons or finding them in loot, they’ll become more powerful with your character. All three require special ammo to use, but you can unleash the Signature Weapon whenever you want. Here, I’m going to explain how Signature Weapons work, how to get them, and what you need to know about the Specializations system. There’s a lot of ground to cover, so let’s dig in. The Crossbow, Grenade Launcher, and .50 Cal Rifle are absolutely required to handle the difficult end-game challenges waiting for agents after they complete the story. To get Signature Weapons, you just need to complete the game. Signature Weapons become available after finishing the final story mission at Capitol Hill. Even if you’re Level 30, Signature Weapons won’t be available until after this point. You can access the Specializations Menu from the White House Base of Operations. There are three Specializations — depending on which Specialization you select, you’ll get a different Signature Weapon. Demolitionist: Unlocks the Grenade Launcher. Survivalist: Unlocks the Crossbow (Explosive Bolts). Sharpshooter: Unlocks the 50. Cal Sniper Rifle. To equip a Signature Weapon, hold [Y / Triangle / Weapon Swap]. Signature Weapons use a special ammo — it rarely drops, unless you unlock the Signature Weapon Ammo perk. Unlock the ‘Signature Weapon Ammo‘ perk ASAP — it increases the amount of signature weapon ammo that drops, and only costs 5 SHD tech points. NOTE: You can change classes at any given time. You’re not stuck using one class. Changing classes will NOT reset your progress. When you activate a class, you will begin earning Specialization Points you can spend on that particular class. Switching specializations will keep all the points you’ve earned on your first class — you’ll just start earning points in your new specialization. The Demolitionist class is all about explosives. The Grenade Launcher is a fast-firing weapon that can lay down a to of explosives very quickly. You’ll also gain the Artillery turret, gain more explosive damage perks, deal more damage to enemies when they’re not in cover, and gain boosts to your LMG / Magnums. The Survivalist class is a team-player and a soldier. Survivalists can heal their team with enhanced Mender seekers, buff allies to do more damage, increase outgoing healing, gain incendiary grenades, or improve shotgun / assault rifle damage. The Crossbow is especially fun — you can peg targets with an explosive crossbow bolt for extra damage. The Sharpshooter class is about dealing damage with precision attacks. The Sharpshooter gains Flashbang grenades and the Tactician drone, which marks targets for your entire team. You’ll be able to do more damage with headshots, Sniper Rifles, and standard Rifles.